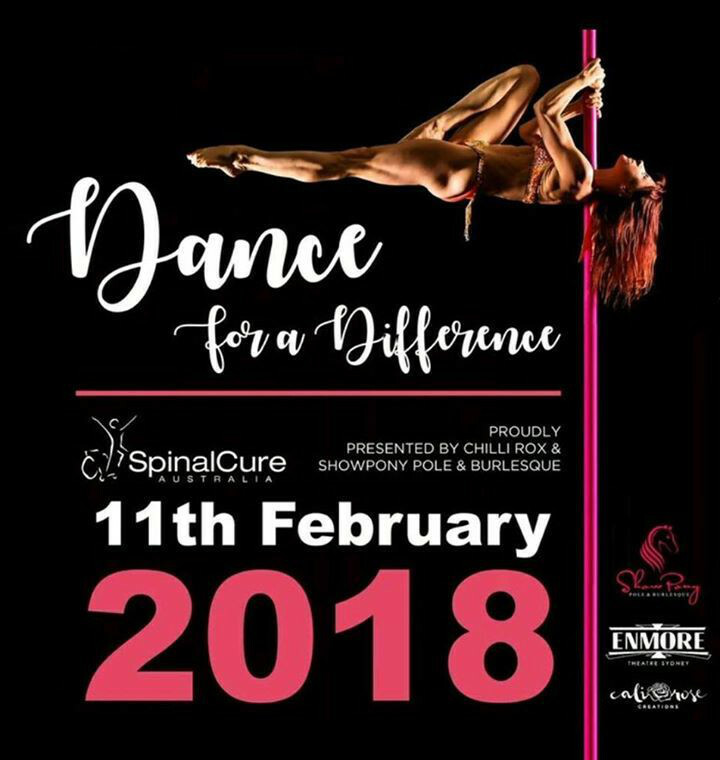 Dance For A Difference is an event like no other – inspired by the truly amazing story of pole and aerial artist, Jason Lam, who was paralysed in a training accident, this event will feature local and international pole superstars and will raise money for Spinal Research – with all profits going to Spinal Cure Australia. This event will be nothing like anything done before. Attendees will have access to shopping before the event – with all of the most loved pole and aerial brands on hand with stalls in the lobby. There will also be chances to interact with the pole stars in this area – with shoe signings, photo opps and other fun surprises! There will also be a raffle with the BEST prizes as donated by our wonderful sponsors. Each ticket to the event will also include 1 raffle ticket – with more tickets for sale on the night. Proceeds will go to SpinalCure Australia. Get your tickets now. You don’t want to miss this once off, fantastic event! If you can’t attend, please consider making a donation here.